Great stay with very friendly staff. Thank you so much! When would you like to stay at YHA Swanage? A large, sea-facing Victorian villa, YHA Swanage is situated five minutes' walk from the award-winning beach of Swanage - the only Blue Flag beach along the entire Dorset Jurassic Coast. The hostel has been recently refurbished for 2018 and is now better than ever. Spend a restful holiday building sandcastles, paddling in the sea and sampling local ice cream or alternatively, give coasteering or diving a go on this rugged coastline. YHA Swanage has recently undergone a £1.5m refurbishment to improve the facilities and accommodation at the hostel. 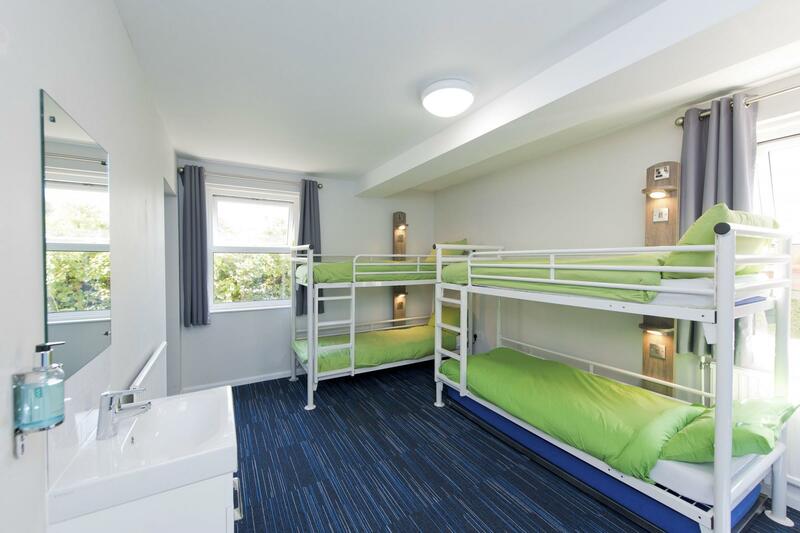 The hostel now benefits from 93 beds with 11 of the rooms en-suite, including one fully accessible room. The rooms have two to six beds and some of the rooms contain a double bed. The hostel also has a brand new self-catering kitchen as well as open plan social areas with an oak panelled lounge and dining room with soft chairs. Free Wi-Fi is available in the communal areas. 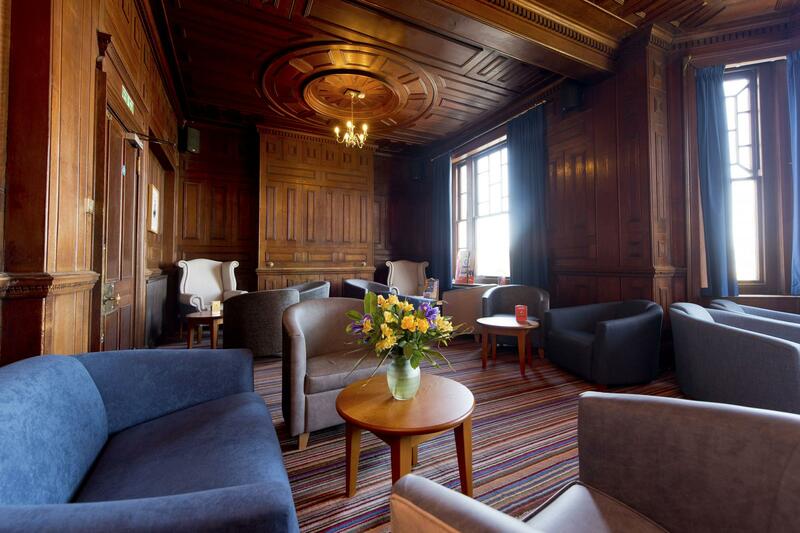 YHA Swanage offers FREE WIFI in communal areas! A magical island rich in history, wildlife and adventure. Enjoy peace, tranquillity and breathtaking coastal views and walks. The whole of Purbeck area, a lot of which is An Area of Outstanding Natural Beauty, is just waiting to be explored. There are some great routes including Chalk Ridge between Corfe Castle and Old Harry Rocks, it's quite steep at first but suitable for all levels and there's stunning views on either side. Cycling is very popular in Dorest, thatched villages and quiet lanes make it easy to get off the beaten track and explore the tranquil terrain. Here the pace is leisurely and the going is easy. In Poole Harbour you can try your hand at something less 'wet'...parasailing! Parking: There is ample parking for coaches and cars. Open every day? : No. From 1st March to 31st October, YHA Swanage is open at weekends and during school holidays. Monday - Thursday the hostel is available for group bookings. Beds and rooms may become available three months before travelling dates, so please check the website. At certain times, the hostel may only be available for Groups and Exclusive Hire. Invite all your family and friends along to YHA Swanage and hire the whole property for yourself. To do so please visit our YHA Exclusive Hire website. Open for bookings from the autumn half term to the Easter holidays. YHA Swanage is perfectly located to enjoy the Jurassic coast with a range of different geography packages on offer. The local area also has a lot to offer history students or those looking for an adventure holiday. The hostel can accommodate up to 100 people and provides group catering as well as classroom facilities. This fine seaside villa was built by the Captain of the Isambard Kingdom Brunel’s colossal ship ‘The Great Eastern’; Sir James Anderson. He built the house with the proceeds of laying the first ever transatlantic cable from Ireland to the Americas, thus connecting the old world with the new worlds. During WWI the house became a Red Cross hospital for soldiers returning from Europe. YHA has owned this fine building since 1949. The wood panelling in the building is believed to have come from the old English courts of law. Garry Hayman is the manager at YHA Swanage: "I have always worked in the hotel and catering industry and started working with YHA in 1999 as a team member at YHA Golant. In 2000 I was appointed as hostel manager of YHA Dartmoor, then as manager of YHA Swanage in 2013. I like travelling, hiking & following the trials and tribulations of Plymouth Argyle Football Club. Whilst at YHA Dartmoor I met my wife, it was pretty much love at first sight and we married in 2005.